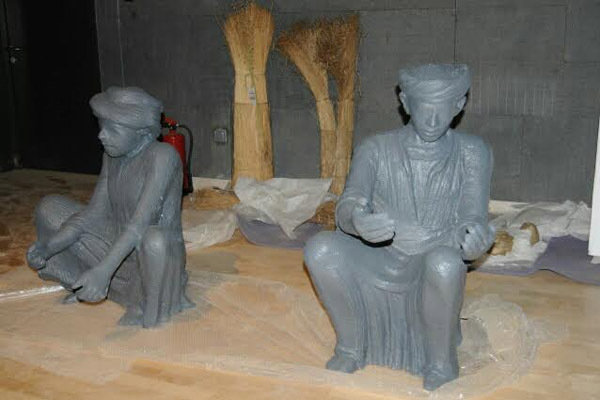 Under the name "Crafts and Industries through the Ages" the National Museum of Egyptian Civilization (NMEC) is set to open its first temporary exhibition Wednesday evening, showcasing the history of four crafts in Egypt: clay, jewellery, textiles and wood. The opening will be attended by UNESCO Director-General Irina Bokova. On a tour of the exhibition Monday, Egypt's Minister of Antiquities Khaled El-Enany told Ahram Online that to celebrate the NMEC's soft opening the museum will offer free admission from 16 through 28 February. 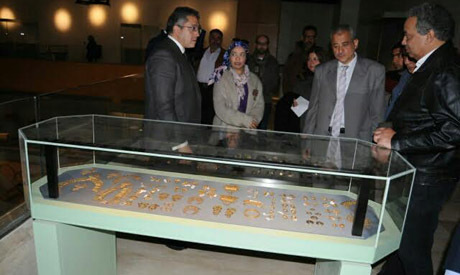 Mahmoud Mabrouk, the exhibition's designer, said the museum will showcase a collection of 400 artefacts selected from Cairo's Egyptian Museum, Coptic Museum, Museum of Islamic Civilization and Al-Manial Palace Museum, as well as Alexandria's Jewellery Museum and NMEC storage. Final preparations for Wednesday's opening are currently underway. "The exhibition will bring to life the continuation and development of ancient crafts into modern times through graphics, multimedia electronic guides and a documentary screening," Mabrouk said. 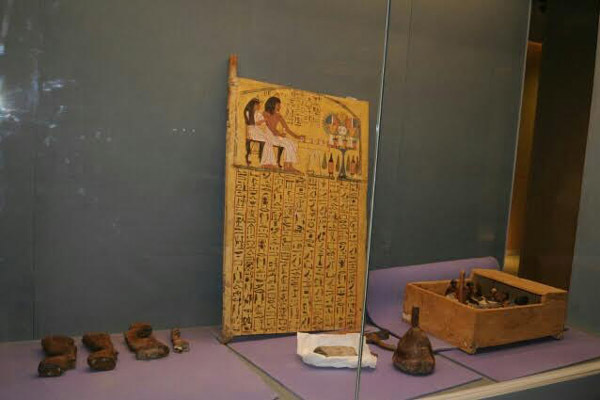 The most important artefacts, Mabrouk said, will be a collection of prehistoric clay pots, the royal chair of Hetep-Heres, mother of King Khufu, and a small ancient Egyptian stool carved from 120 wooden pieces. A Qabbati robe textile and set of Islamic doors decorated with foliage and geometric designs with ivory are also among the distinguished items to be displayed, along with jewellery from Siwa, Nubia, Upper and Lower Egypt. 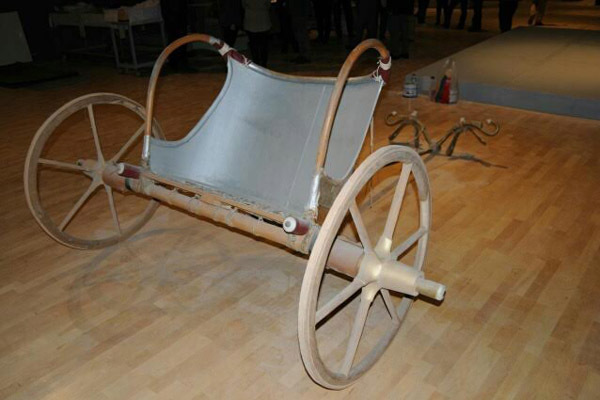 “The exhibition will be organised by the chronology and geography of the artefacts,” Saeed added. Plans to create the NMEC began in 1982 and construction finished in 2009. In 2000 a location on Lake Ain Al-Sira in Fustat was selected and in 2002 the large, square foundation stone — the platform of the building's stylised pyramid design — was installed. When it opens fully to the public, the museum will display a collection of 50,000 artefacts from different eras in Egyptian history from the pre-dynastic through the modern age. The site houses a number of high-tech storage galleries, as well as a state-of-the-art security system, much like its counterparts the British Museum in London and the Louvre in Paris.